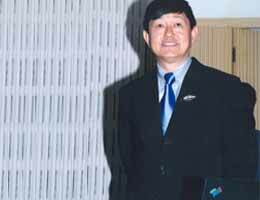 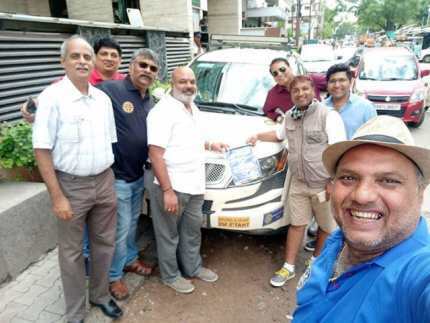 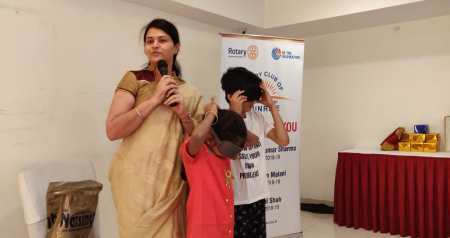 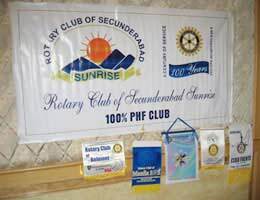 Club Service - The Corner Stone of Rotary Rotary’s first Avenue of Service involves actions a Rotarian must take within the club to help it function successfully. 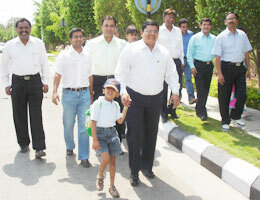 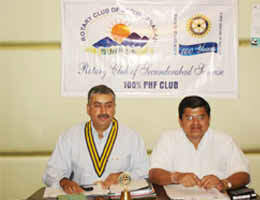 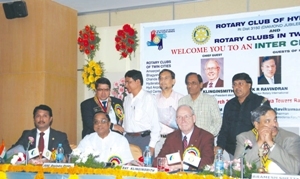 Rotary's first avenue of service, club service, is the most important one amongst the four avenues of service. 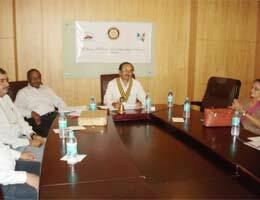 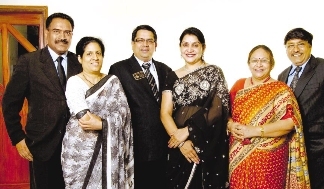 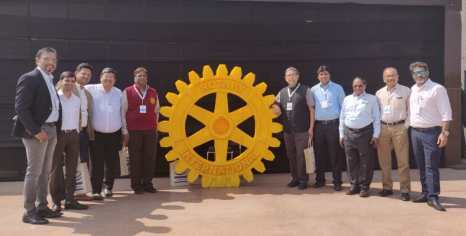 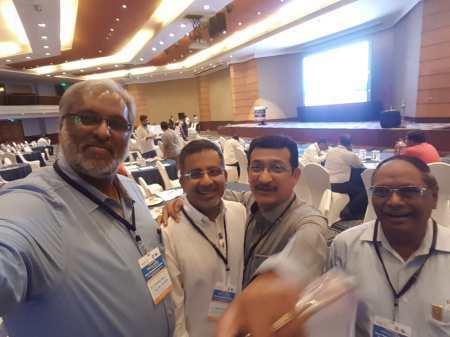 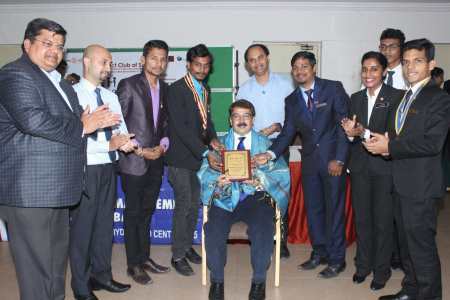 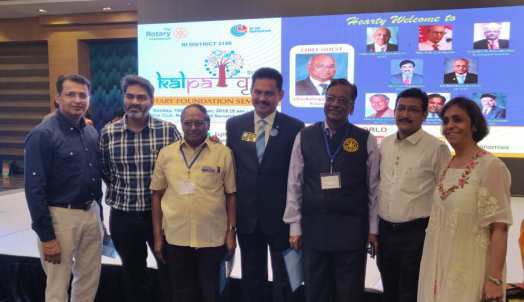 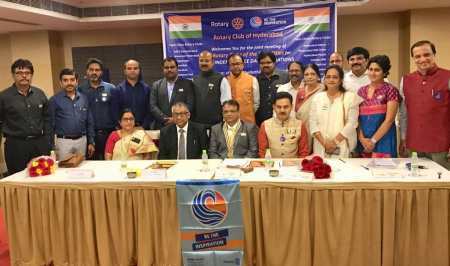 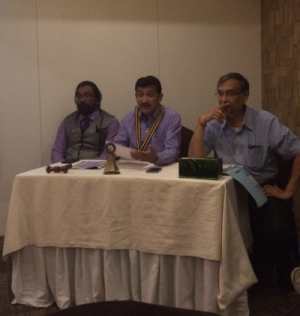 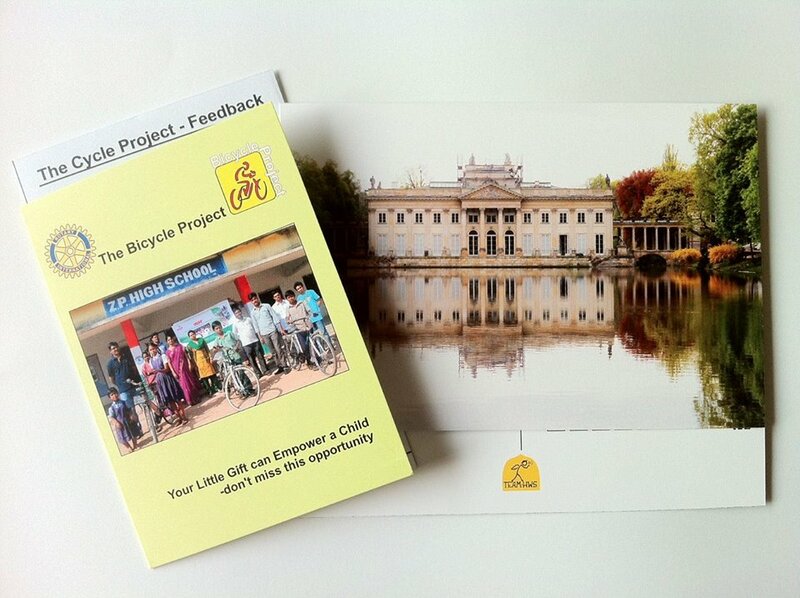 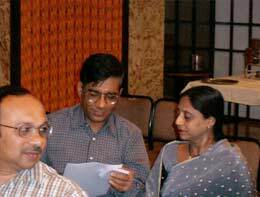 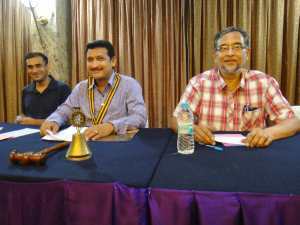 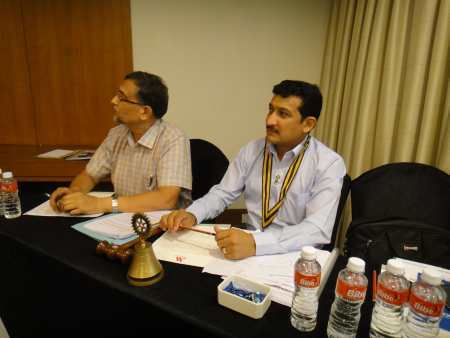 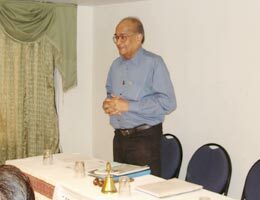 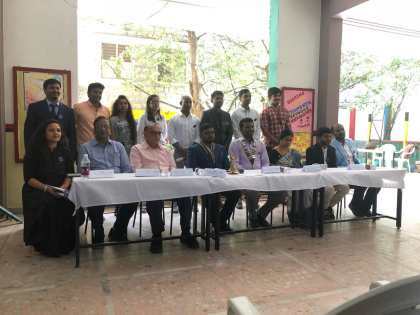 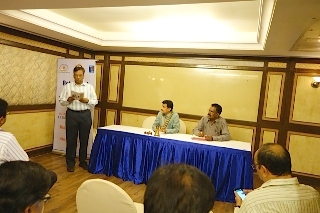 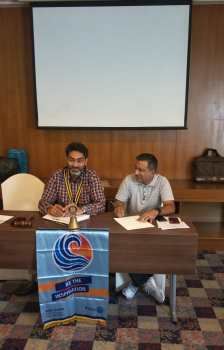 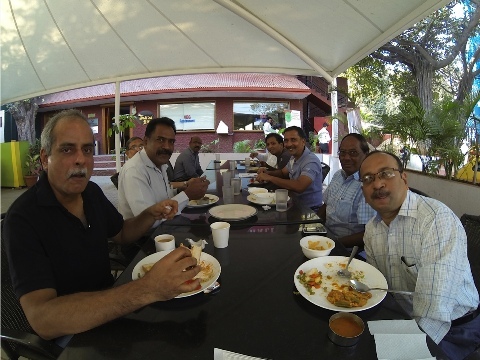 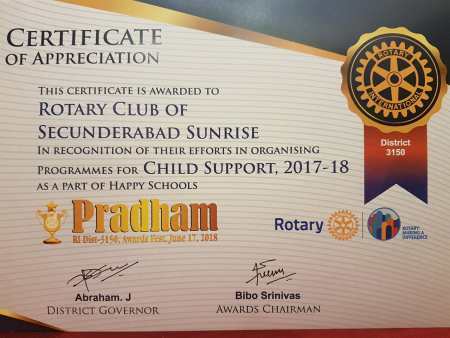 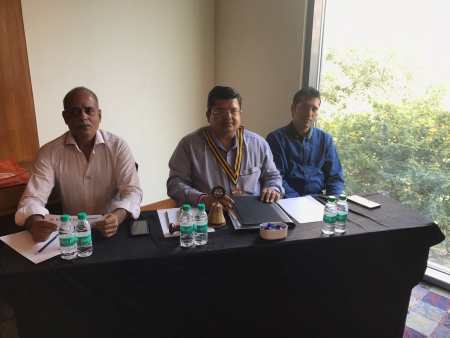 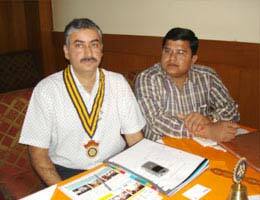 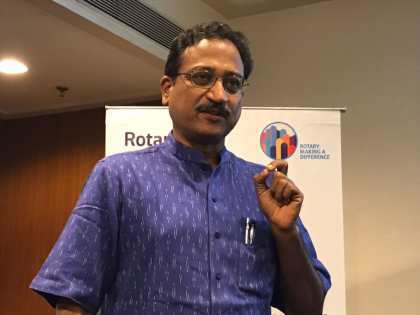 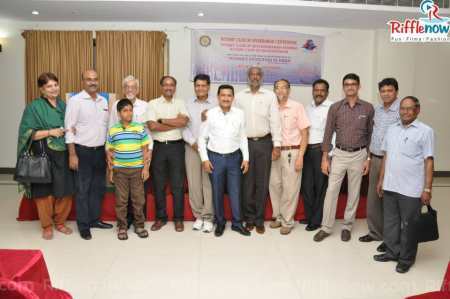 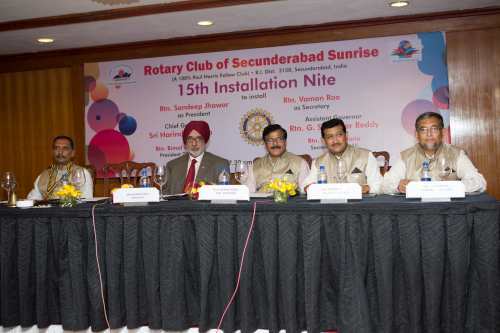 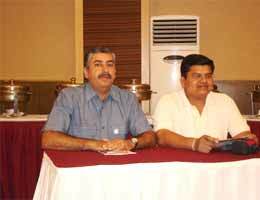 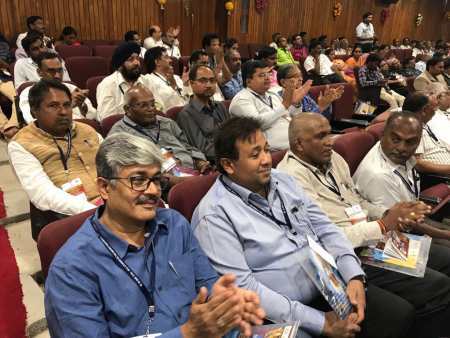 Its purpose is to foster successful administration of the Rotary Club and to direct internal functions of the club to maintain its health and vigour. 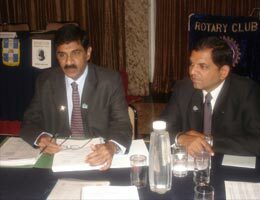 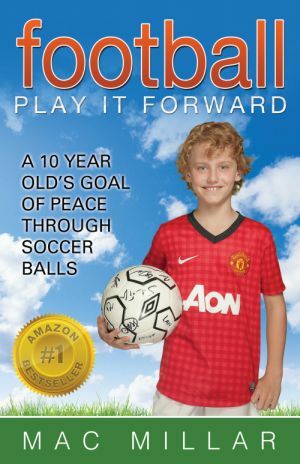 The three other avenues are directed to the local community and world at large; without a vibrant club, little else can be achieved through the the other avenues. 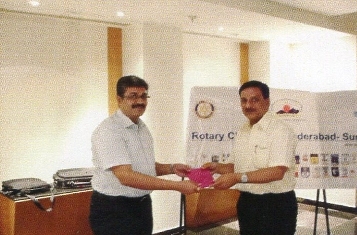 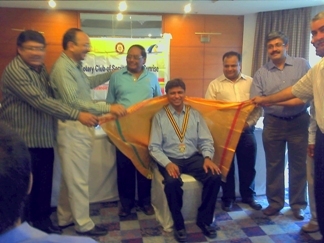 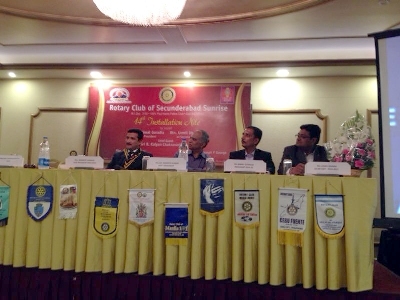 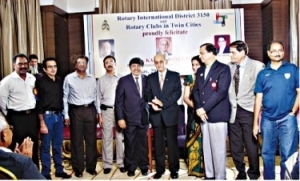 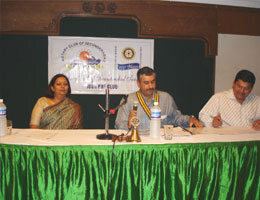 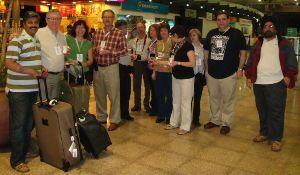 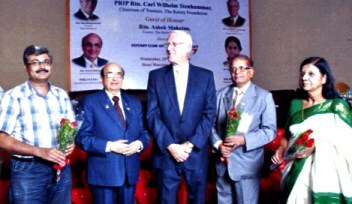 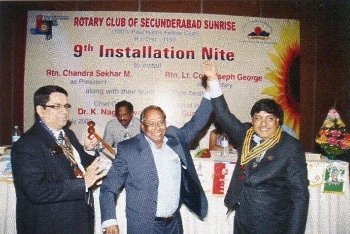 Club members become involved by participating in club fellowship, club programmes, serving on committees, on the club's board of directors and by representing the club in external activities that could include the propogation of the objects of Rotary, speaking at other clubs, attending inter-city meetings, district conferences and by helping organise new Rotary clubs. 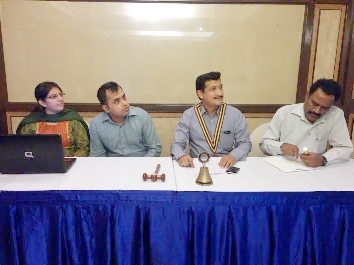 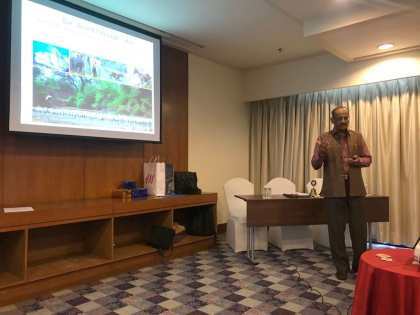 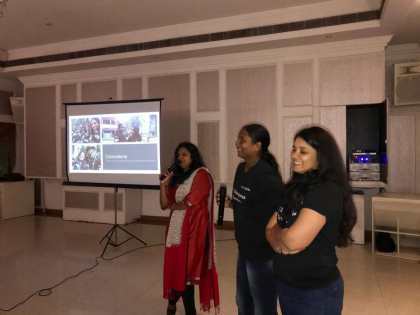 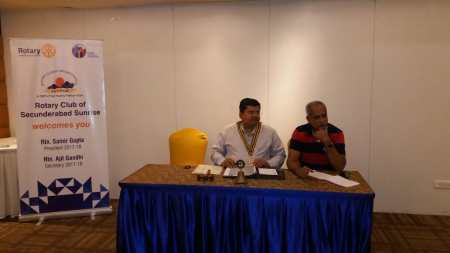 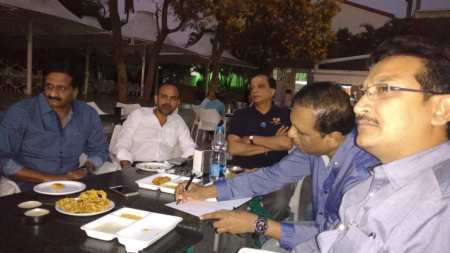 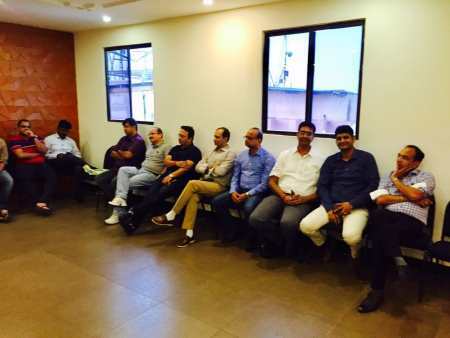 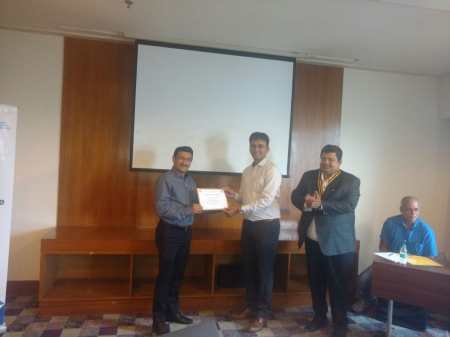 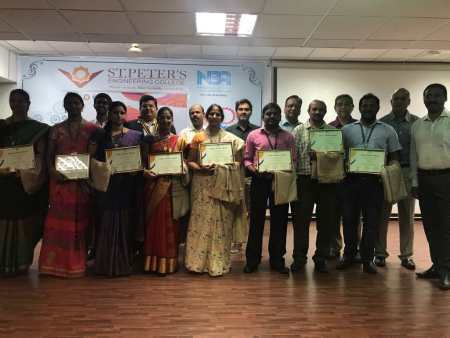 25th August 2018 RCSS Speaker Meeting Courtyard by Marriott Shri P.K. 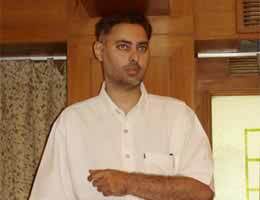 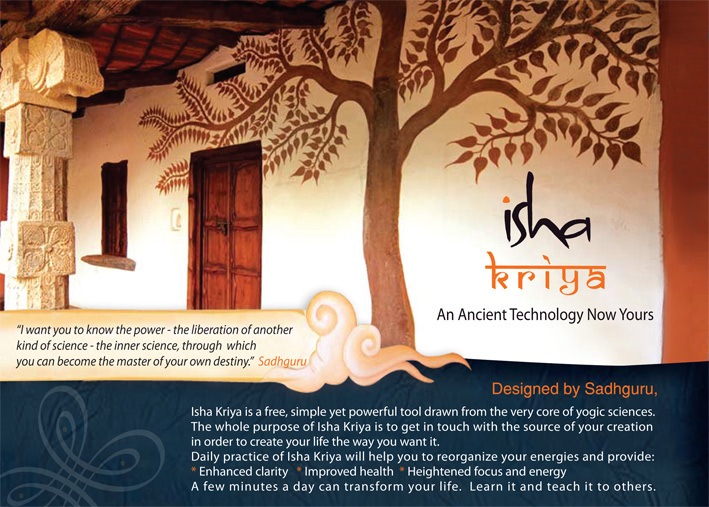 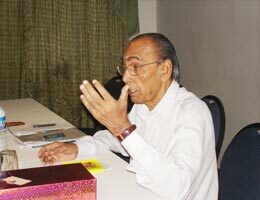 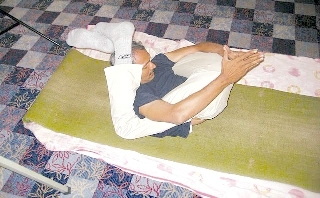 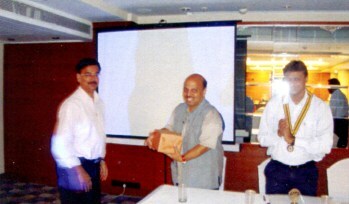 Sharma IFS (Rtd.) 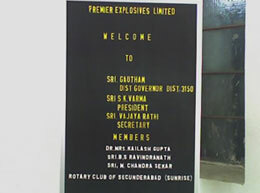 – Ex. 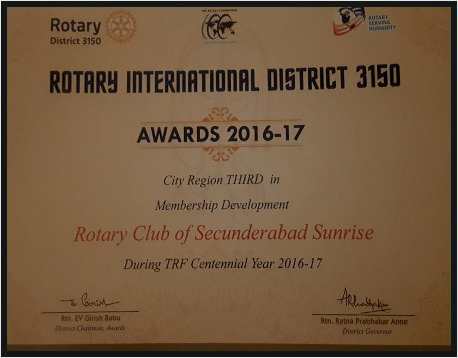 17th June 2018 RI District 3150 Awards The ‘D’ Convention, Hotel Daspalla, Jubilee Hills, Hyderabad. 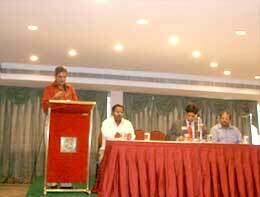 9th Sep 2017 New Members Orientation at Hotel Ebony, Hyderabad. 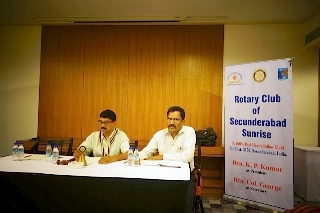 23rd April '16 RCSS Speaker Meeting Courtyard Marriott -Lower Tank Bund Road, Secbad. 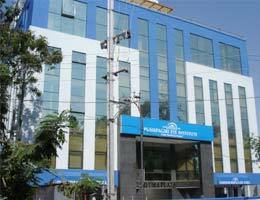 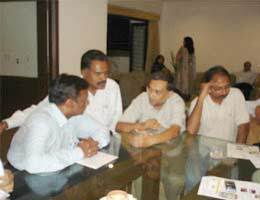 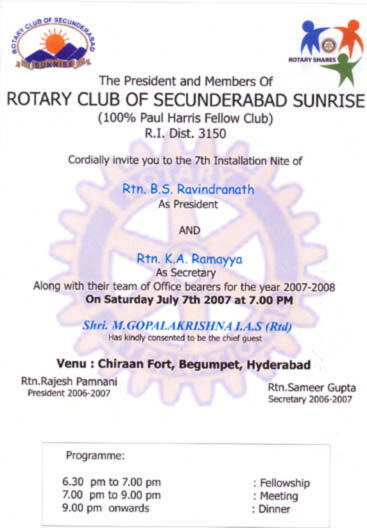 7th August '15 Joint meeting with RC Centennial Hotel Sapthagiri Station Road (opposite Passport office), Secunderabad. 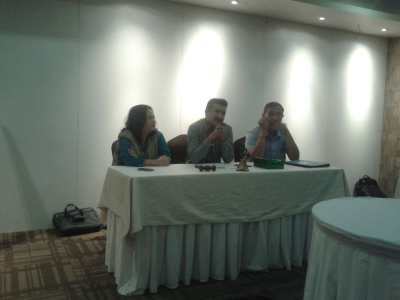 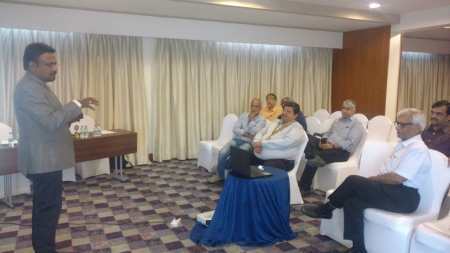 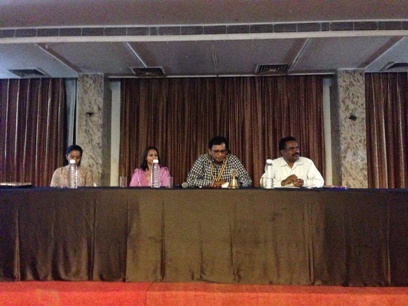 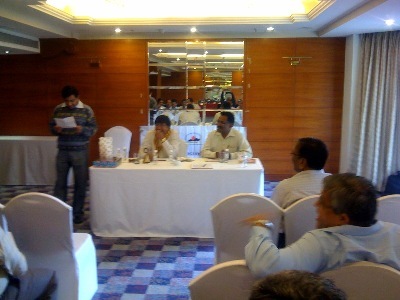 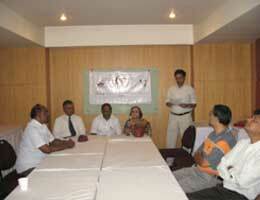 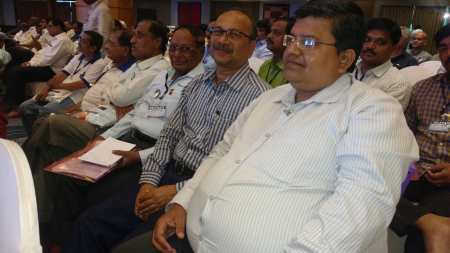 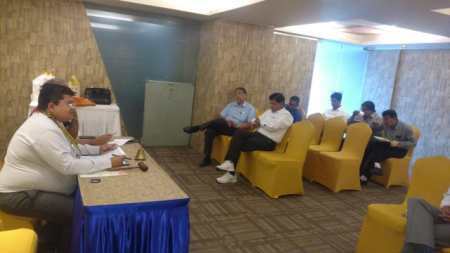 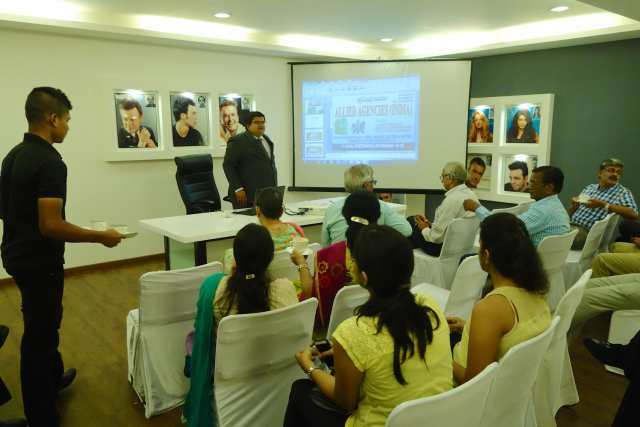 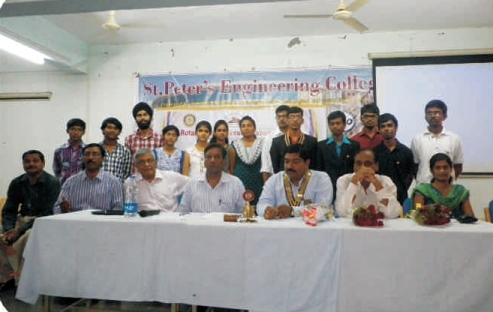 3rd Aug '14 Speaker Meeting Asst. 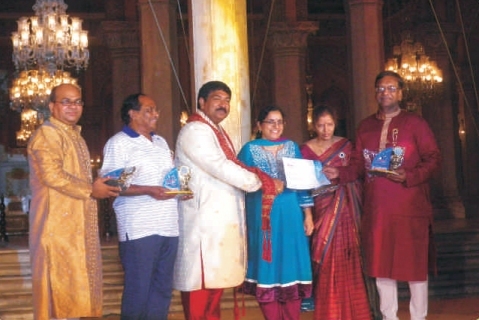 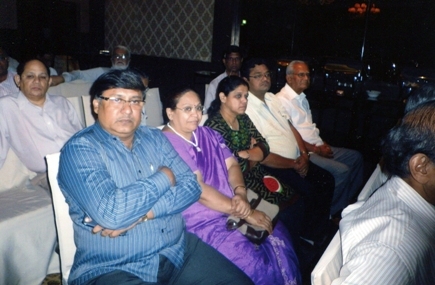 Governor Madhavi Sasanakota. 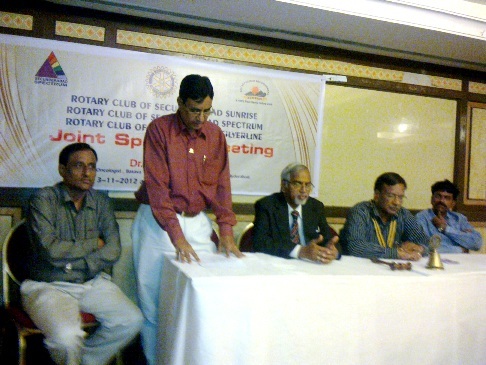 05 Jan'13 RCSS Club Assembly At Court Yard Hotel (Behind Marriott). 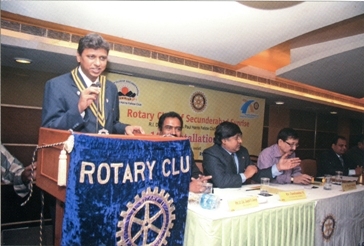 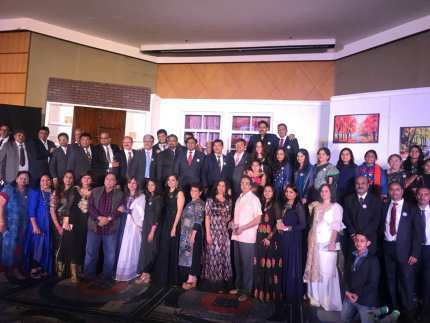 26 Dec'12 Charter day of our club At Hotel Marriott. 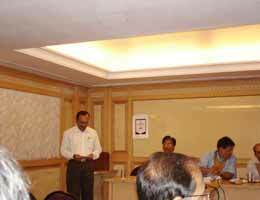 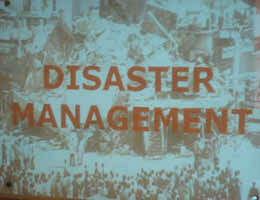 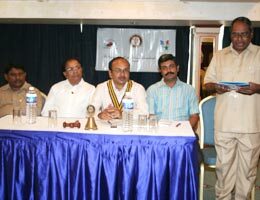 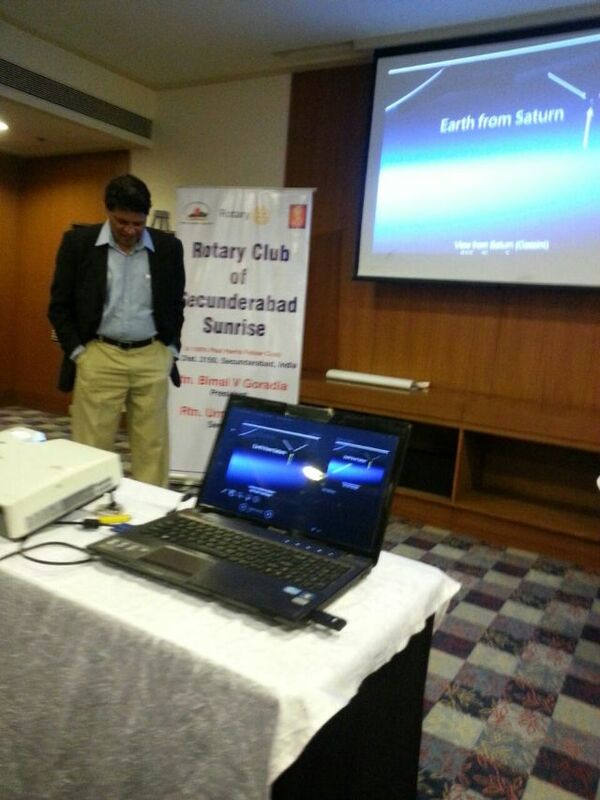 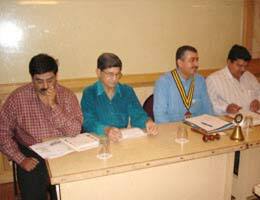 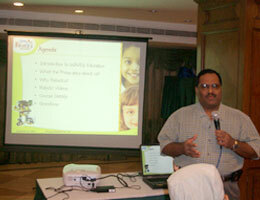 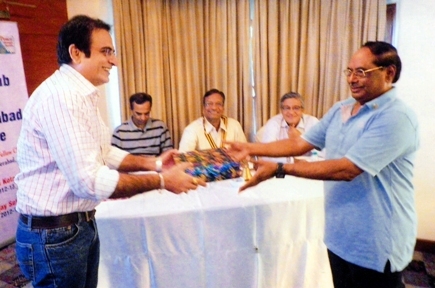 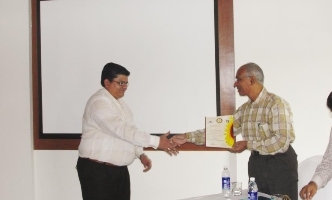 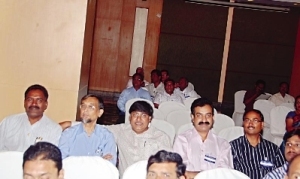 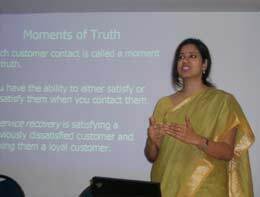 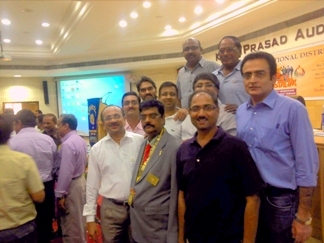 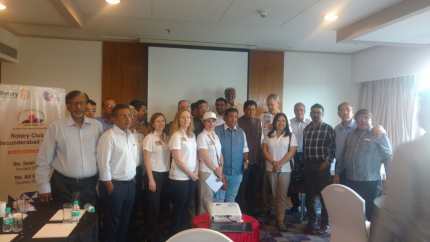 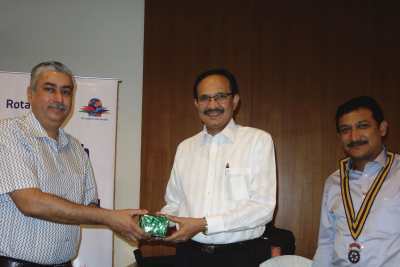 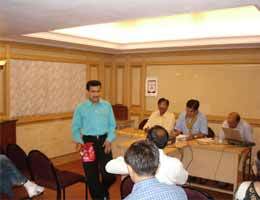 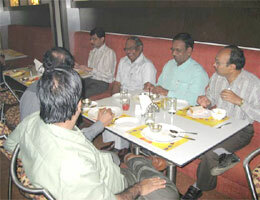 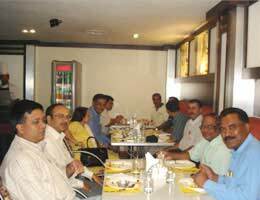 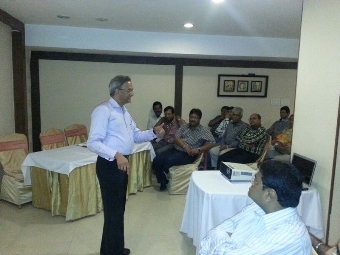 25 Aug'12 Speaker meeting - Hyderbad Adventure Club Hotel Mariott. 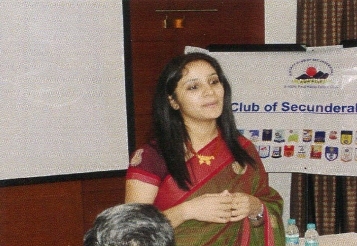 14 Aug'12 Joint meeting of Clubs of Twin Cities Speaker: Faiza Mustafa. 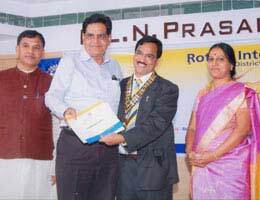 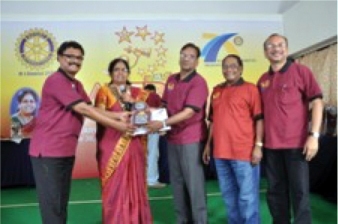 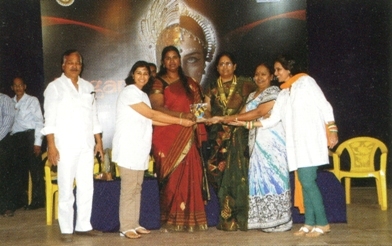 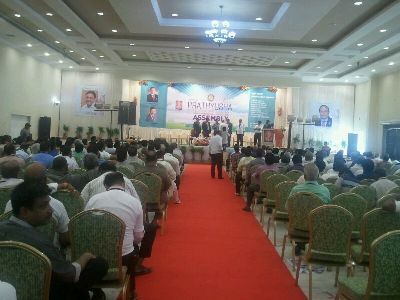 17 Jun'12 RCSS District Assembly 2012 & Awards Nite Subham International Convention Centre, Ring Road, Guntur. 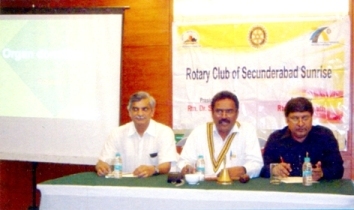 26 Nov'11 Rotary Meeting Opposite Tivoli extension garden. 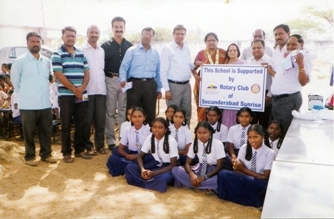 29 Jan'11 District Cultural Event Night Sundarayya kalakshetram, Baghlingampalli. 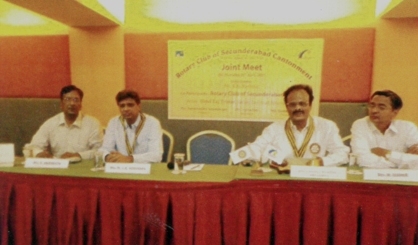 9 Jan'10 Joint Speaker meeting Ms JULIET WURR. 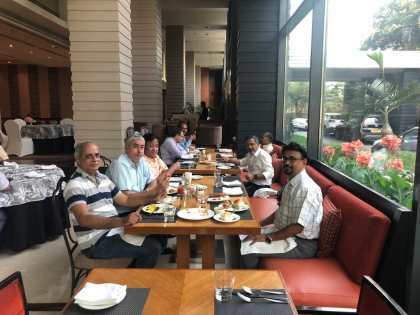 Time : 6:30 PM Dinner Meet. 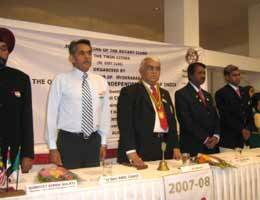 06 Mar'07 Union Budget 2007 At Hotel Kamat Lingapur. 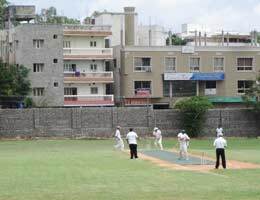 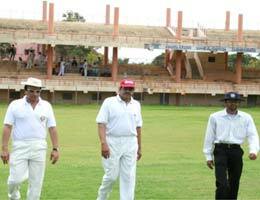 27 Aug'06 IFCR MeetCricket Match With RC Deccan. 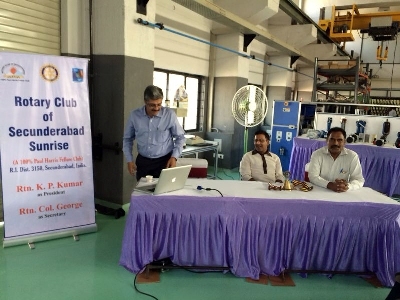 RC Of Hyd-Deccan. 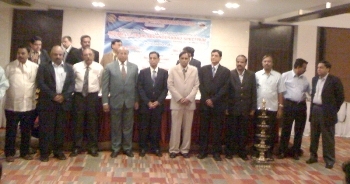 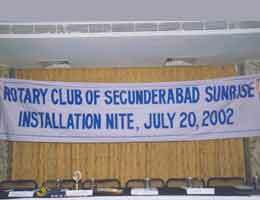 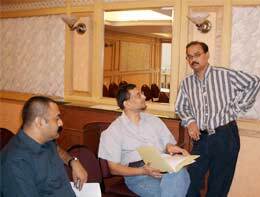 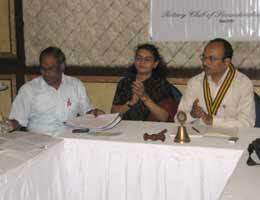 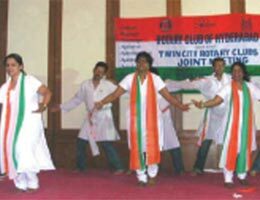 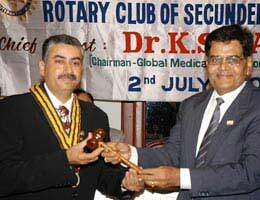 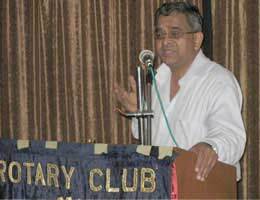 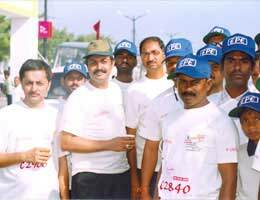 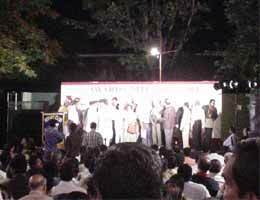 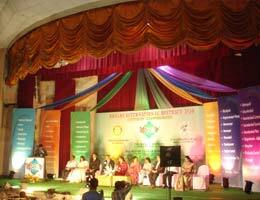 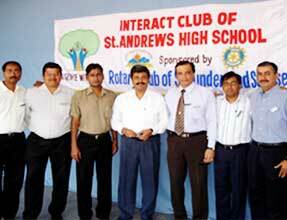 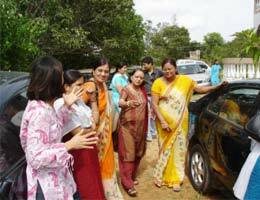 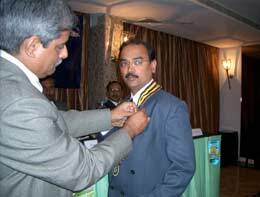 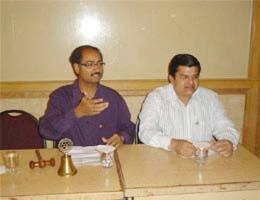 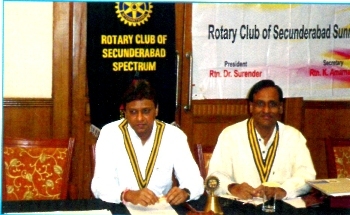 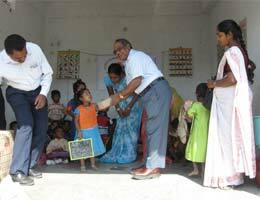 21 Sep'05 Kargil-"Leading from front"
20 Oct'05 Installation of Interact Club St.Andrews high School,Bowenpally. 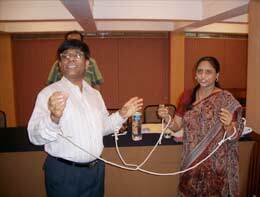 Follow US Home Contact Sitemap © rcss.in 2015-16.